Now Available! 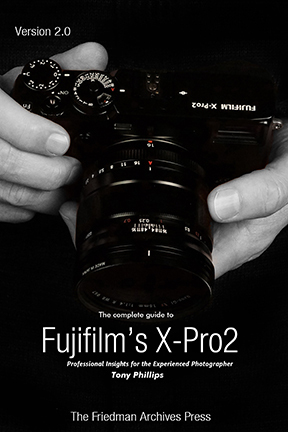 The Complete Guide to Fujifilm's X-Pro2 by Tony Phillips! Download your copy now - only $28.95! NEW! Downloadable version includes Addendum for firmware 2.10, 3.0 & 3.10 and covers the new wireless flash system as well. * Is packed with tips and tricks to help you master photography with an X-Pro2. 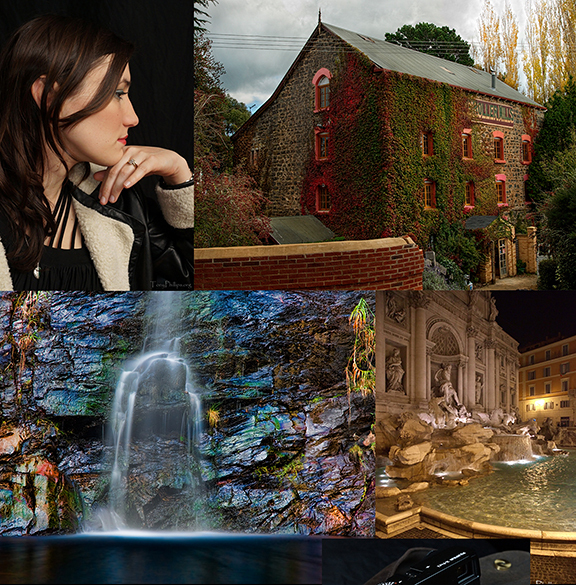 * Explains Flash and Lighting – even Manual flash! * Explains how and why to customize all those buttons and menus. But Wait… There’s also an XLS spreadsheet listing all camera settings with a brief explanation of each, my own recommendations, and space to note your own settings. 2) For those of you who prefer traditional printed books, this work is also available as a printed and bound book that will be mailed right to your door. It's available in both color and Black-and-White from print-on-demand publisher Lulu.com. The color version is a little more expensive than your typical book, but as some readers have reported, significantly cheaper than printing the .pdf file on your inkjet printer. NOTE: The new addendum covering the new features from the firmware updates is NOT included in the printed version. You can purchase that separately here.